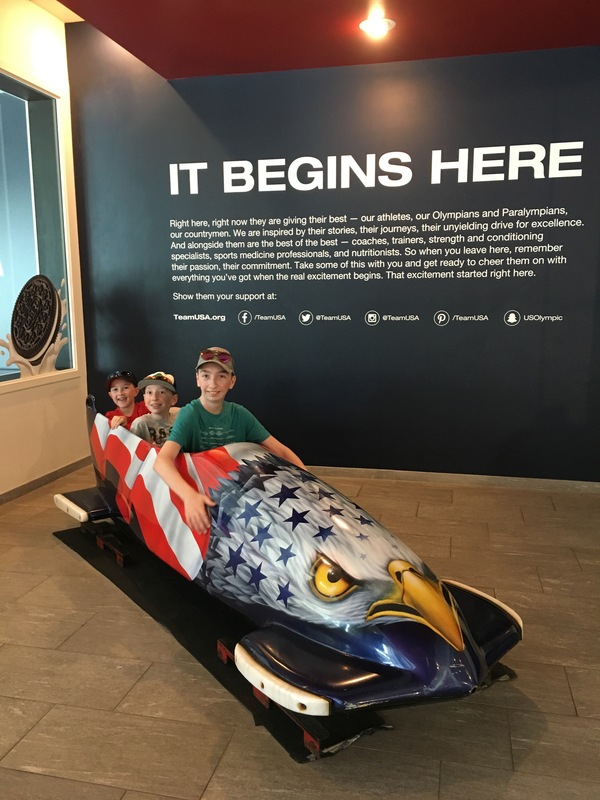 This post, Top Places for Families of All Ages Visit Colorado Springs in 1 Day, is in partnership with the Colorado Springs CVB and all opinions are my own. When you have a variety of ages in your family from toddlers to teens sometimes it is hard to decide how to spend the day. 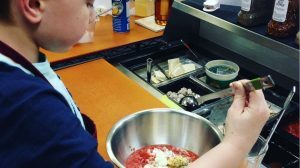 Let me share Top Places for Families of All Ages Visit Colorado Springs, Colorado. Let’s start with Teens. The hardest age group of them all, right? 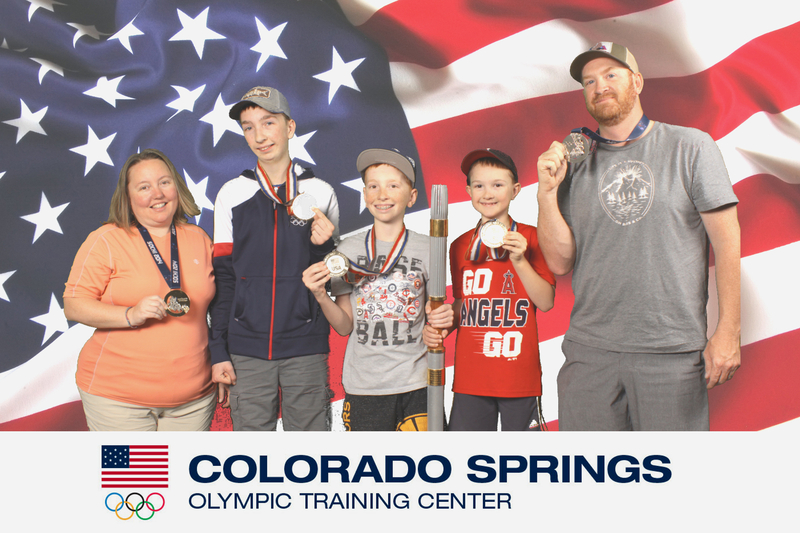 Take them on a guided tour of the Colorado Springs Training Center and ‘so cool’ will be phrase of the hour. Get a first hand look at the large weight room with the athletes working out right in front of you. Visit the pool where Michael Phelps has swam, the wrestling room where live practices are going on, and if you’re lucky like we were, get a wave from Sam Mikulak who is there training to earn a spot for his third Men’s Gymnastic spot in Tokyo! Yes those are real medals and the Olympic torch. This photo was free with our tour! 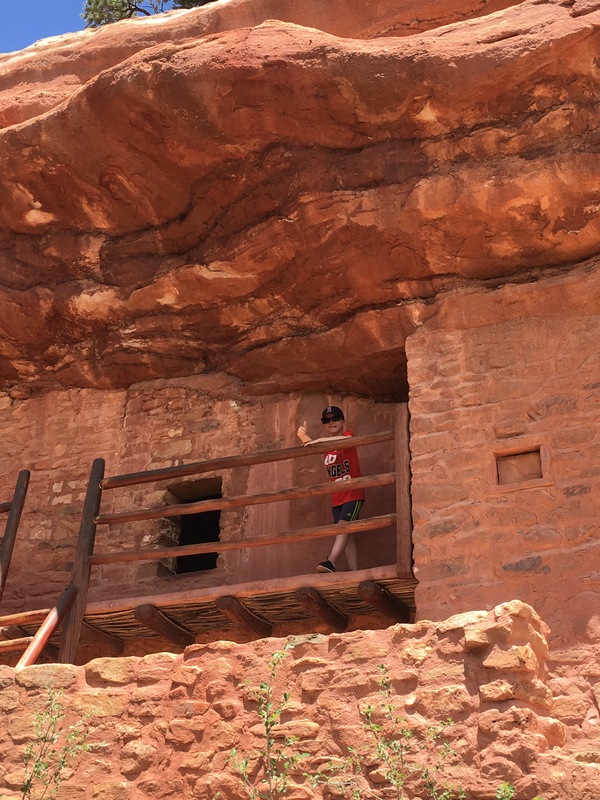 The Manitou Cliff Dwellings are great for the elementary school age as my eight year old could not stop talking about how he got to go in the ‘caves’, aka dwellings, to see how people lived. There was a teepee for him to explore and a part at the end of the dwellings he could climb up. 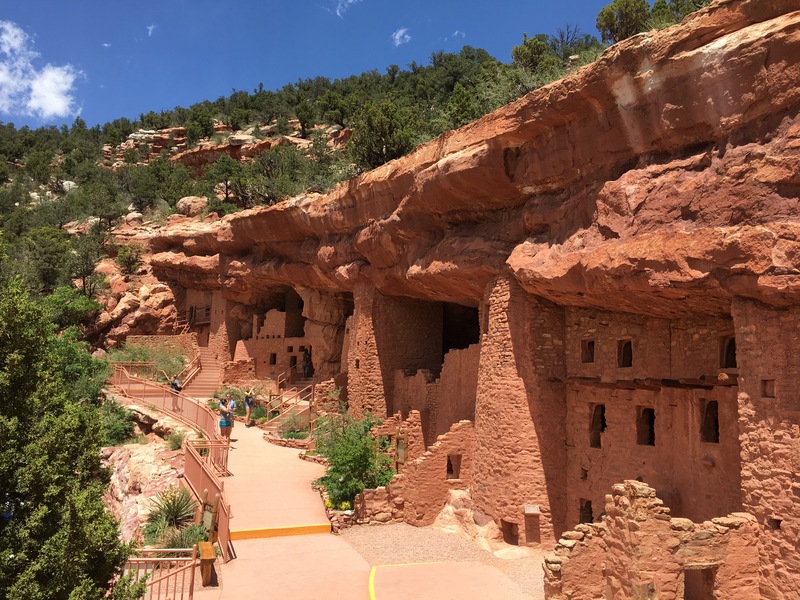 The architecture of the ancient Anasazi really is fascinating and the whole family will be amazed. There is also a museum and a really big gift shop full of Native American hand-made jewelry, artifacts, pottery and crafts. Don’t let me forget to mention that the drive to get here is beautiful, as it is nestled in Manitou Springs. Once you’re tired out from your day, spend the night at the Great Wolf Lodge. 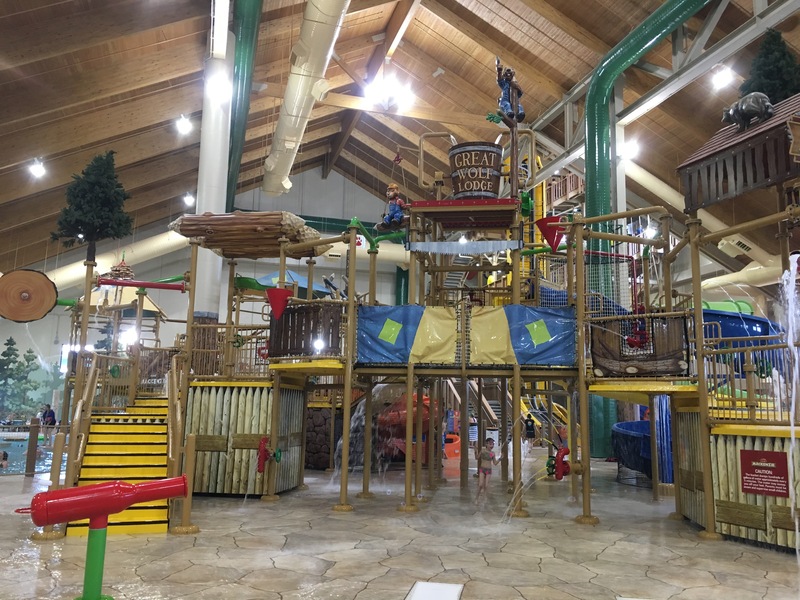 An indoor water park full of pools, slides, water activities, and even a wave pool. The fun doesn’t stop there though. The hotel is bursting with things to do. 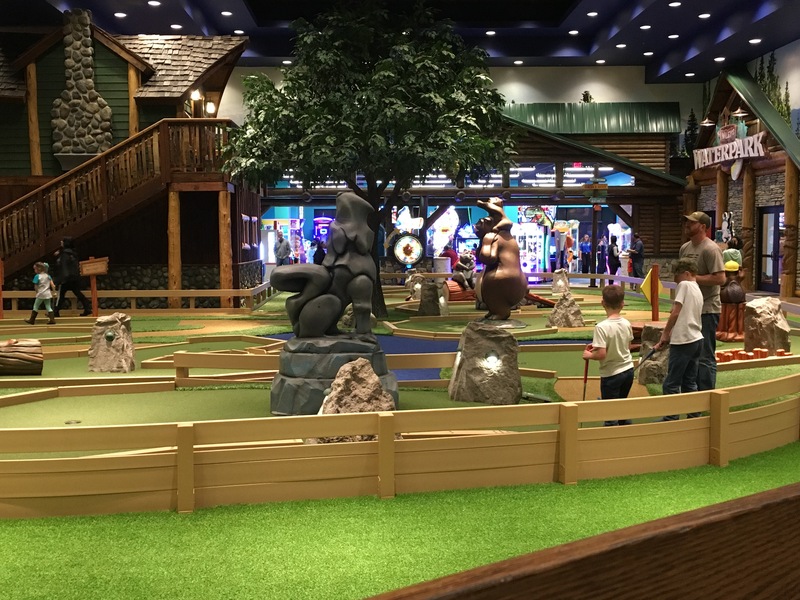 Mini golf, bowling, arcade, ropes course, and so much more. There is on-site restaurants and ice cream. 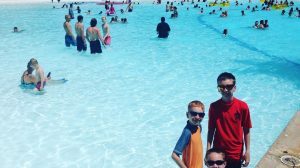 My teen will tell you he had a good time, but it really is geared towards the smaller ones. I’ve written a whole separate post on our stay here. Families of All Ages Visit Colorado Springs whether it’s just for the day or the whole week. Check out other Family Itineraries too! 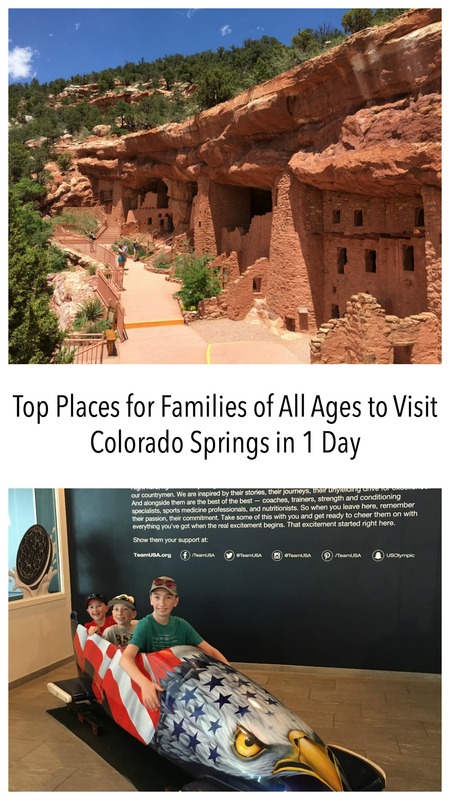 What will your family want to visit first in Colorado Springs?